Home » Blog » I Am On Pins and Needles! 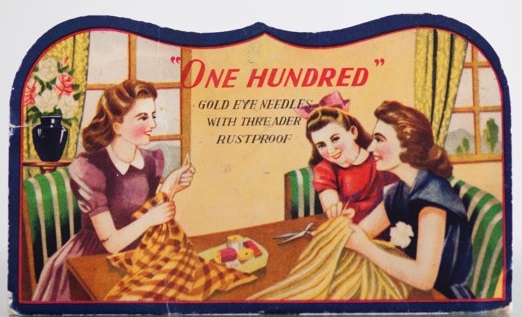 Because I can’t wait to share what I’ve learned about the history of pins and needles. It’s hard to pin down when people first began to use pins and needles. As a matter of fact, it’s rather like looking for a needle in a haystack. Archeologists have found pins from the Paleolithic era that were made from bone and thorns. Bone needles from 61,000 BC have been found in South Africa. Tiny fish bones were used by ancient Egyptians to pin the eyelids of the dead closed. Sumerians used pins made of iron around 3000 BC. Ancient Mexicans used thorns from the agave plant as pins. Ivory needles have been found in Russia dating back to 30,000 years ago. 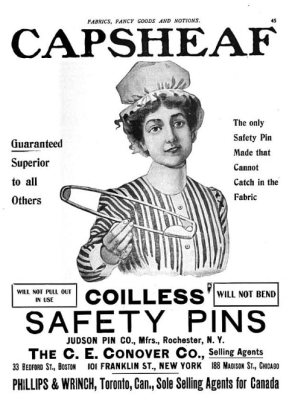 For centuries, pins were the main way clothing was held together. We can only surmise that people used to have thicker skins. It took awhile for the button to come around and even longer for the buttonhole. Romans were expert sewers and made great use of thimbles and needles. Pins were hard to produce, but needles were even harder because of having to form the eye. In 12th century Persia, the process of making a needle was described as requiring 25 steps. 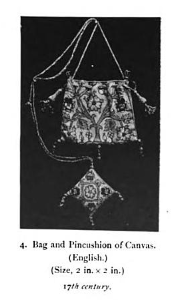 After mass production of pins became possible and they weren’t so precious anymore, the term “pin money” came to refer to money reserved for a modest expenditure of a personal nature. I don’t think people use that expression much anymore, but I do remember my mother calling my babysitting earnings “pin money” back when I took frequent trips to the shops on Chestnut Street (in San Francisco) to search for a present to buy myself. Of course, that was back in the 20th Century. But the biggest risk for the workers was breathing; in the workplace, tiny particles of stone and metal laced the air. This led to respiratory problems and a gradual decline in health. 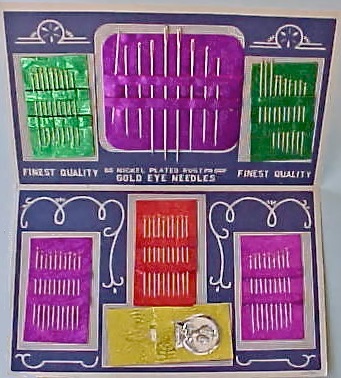 Several attempts were made to develop a pin-making machine in the US and in Europe. 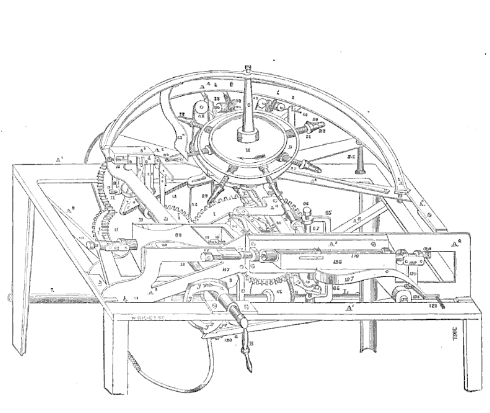 The first one that could successfully execute the entire process was patented in the 1830’s (above) by John Howe. 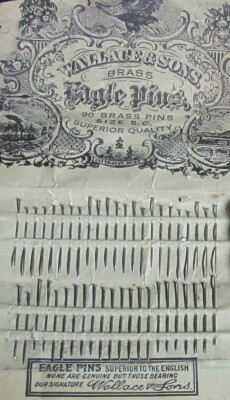 A New York physician at the Bellevue Alms House, Howe had observed inmates there making pins. A?Though he’d pinned his hopes on inventing a machine that would speed up production, Howe’s ambitions were frustrated by the fact that packaging the pins still had to be done by hand. A?A few years later, Samuel Slocum invented a machine that stuck pins on papers automatically in regimented lines that looked neat as a pin. People were so impressed, you could hear a pin drop. The two men joined forces to establish the American Pin Company in Waterbury, Connecticut. Scientific American reported in 1906 that 3 million needles were produced every day worldwide (mostly in Britain) and 300 million needles were bought each year in the United States. By 1920, the trade magazine Office Appliances reported that Americans bought 14 billion pins per year. Nobody pined away over lost pins anymore. Through the ages, pins have been employed for many reasons. One of the more macabre uses would be as a magical instrument of torture and even murder. For example, in 18th century Scotland, if a man wanted to kill another, he would make a Corp Chreadh (clay figure) of his enemy and stick it full of pins, which would bring pain to his victim. If desired, while uttering incantations, the clay doll would be submerged under water. As the clay crumbled away, the person’s body was believed to waste away. A man named Walter Hunt may have been a sharp inventor, but he was definitely a terrible businessman. 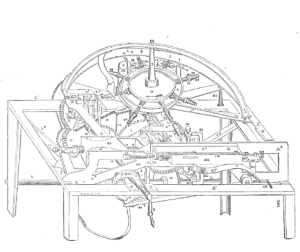 In 1834, he built one of the earliest sewing machines in America a?? 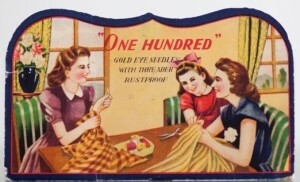 the first to use an eye pointed needle. He missed out on making a fortune by failing to patent his machine. Later, Hunt was in debt and trying to come up with another invention. He figured out a new design for the pin and gave it the name of “safety pin.” For this, he got a patent in 1849. Versions of safety pins have existed since around three thousand years ago in Europe, but Hunt’s design had a curved clasp and spring action that protected the fingers more than previous models. 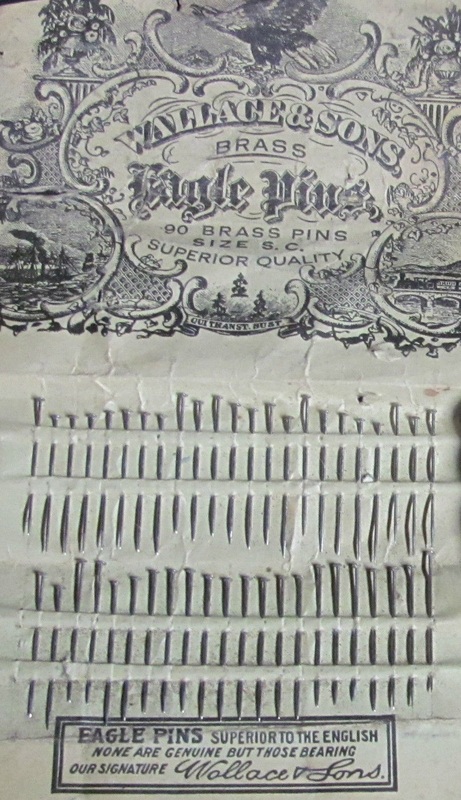 Hunt sold his safety pin patent for $400 to pay off that debt. Another fortune down the drain. Lets hope his wife didn’t needle him for the rest of his life. Though this is just the tip of the story, at this point I must bring my history of pins and needles to a close. I hope my overuse of idioms wasn’t too annoying. I just couldn’t resist taking a stab at it.